ADOPTIONANNOUNCEMENTS.COM (“ADOPTIONANNOUNCEMENTS.COM”) PROVIDES INFORMATION, MARKETING, AND ONLINE SERVICES ONLY. ADOPTIONANNOUNCEMENTS.COM DOES NOT MATCH BIRTH PARENTS WITH ADOPTIVE PARENTS AND IS NOT, NOR DOES IT SEEK TO BE, AN ADOPTION FACILITATOR, A LICENSED ADOPTION AGENCY OR A LAW FIRM. THE INFORMATION PROVIDED BY ADOPTIONANNOUNCEMENTS.COM IS NOT LEGAL OR MEDICAL ADVICE. ADOPTIONANNOUNCEMENTS.COM IS NOT AN ADOPTION, LAWYER, OR MEDICAL REFERRAL SERVICE. THE LEGAL, ADOPTION, OR MEDICAL SERVICE LISTINGS THAT MAY BE FOUND ON OUR SITE ARE PAID ADVERTISEMENTS AND DO NOT IN ANY WAY CONSTITUTE A REFERRAL OR ENDORSEMENT BY ADOPTIONANNOUNCEMENTS.COM OR ANY APPROVED OR AUTHORIZED REFERRAL SERVICE. 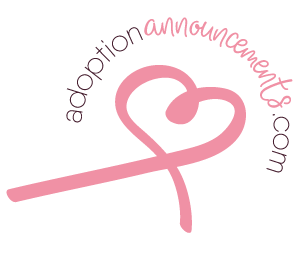 ADOPTIONANNOUNCEMENTS.COM ATTEMPTS TO KEEP INFORMATION CURRENT; HOWEVER, WE DO NOT PROMISE, GUARANTEE, OR EVEN SUGGEST THAT THE INFORMATION IS CORRECT, COMPLETE, OR UP-TO-DATE, AND INTERNET SUBSCRIBERS AND ONLINE READERS SHOULD NOT ACT BASED UPON THIS INFORMATION WITHOUT FIRST SEEKING PROFESSIONAL COUNSEL FROM AN ATTORNEY, ADOPTION AGENCY, MEDICAL SERVICE PROVIDER, OR OTHER COMPETENT PROFESSIONAL WHO IS AUTHORIZED TO PROVIDE SUCH ADVICE AND COUNSEL IN YOUR LOCATION. Responsibility for what is posted on discussion forums, blogs, photo- and video- sharing pages, and other areas on the Site through which users can supply information or material, or sent via any email services that are made available via the Site, lies with each user. Users alone are responsible for the material they post or send. Adoptionannouncements.com does not verify the truthfulness of any information submitted by users, and it is not responsible for the speech, content, messages, information or files that users or others may transmit, post or otherwise provide on or through the Site. If you are a copyright owner who believes your copyrighted material has been reproduced, posted or distributed via the Site in a manner that constitutes copyright infringement, please inform us by sending written notice by U.S. Mail to Adoptionannouncements.com, Attn: Copyright Infringement Team, 20 West 1st South, #209 Rexburg, ID 83440. Please include the following information in your written notice: (1) a detailed description of the copyrighted work that is allegedly infringed upon; (2) a description of the location of the allegedly infringing material on the Site; (3) your contact information, including your address, telephone number, and, if available, email address; (4) a statement by you indicating that you have a good-faith belief that the allegedly infringing use is not authorized by the copyright owner, its agent, or the law; (5) a statement by you, made under penalty of perjury, affirming that the information in your notice is accurate and that you are authorized to act on the copyright owner’s behalf; and (6) a signature of the copyright owner or someone authorized on the owner’s behalf to assert infringement of copyright and to submit the statement. Please note that the contact information provided in this paragraph is for suspected copyright infringement only. Contact information for other matters is provided elsewhere in these Terms of Service or on the Site.